Apple will kick off its annual Worldwide Developers Conference on Monday and speculation is rampant about what the company has in store for attendees and Apple fanatics around the globe. WWDC 2012 will include purported refreshes to almost the entire Mac lineup including the Mac Pro, Facebook integration for iOS, Siri integration for the iPad, iCloud improvements, as well as sneak peeks at iOS 6 and the previously announced OS X 10.8 Mountain Lion. WWDC 2012 promises to be a big show if all the rumors turn out to be true. So here's a look at the latest buzz around Apple's annual summertime conference, which starts with a keynote address on June 11 at 10 a.m. on the West Coast. After languishing without a refresh since summer 2010, Apple's desktop tower, the Mac Pro, is receiving an overhaul to be introduced during WWDC, according to 9to5 Mac. 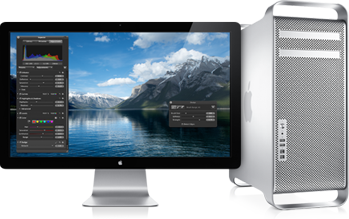 There will reportedly be three new Mac Pro models, one of which can be used as an OS X server. It's not clear what new features the Mac Pro will have, but good bets include new Intel Xeon E5 chips, Thunderbolt I/O technology and USB 3.0 ports. Adding to the Mac Pro speculation, Mac Rumors recently reported that Mac Pro availability at Apple retail stores is dropping, suggesting that new models are on the way. There is also some speculation that Apple will refresh its iMac all-in-one desktops. Most Apple watchers believe the company will at least give a sneak peek into iOS 6, the next version of Apple's mobile platform, even though it's not expected to debut until the fall. A popular rumor that started on TechCrunch says Apple will integrate Facebook into iOS, similar to what Apple did with Twitter in 2011. This should allow you to share photos, links, and other content to Facebook with just a few clicks instead of going in and out of Facebook's iOS apps. Facebook integration could also make it easier to sign in to other iOS apps and Web services with your Facebook ID. Right now, you have to authorize Facebook sign-ons through the social network's iOS app or the Web interface. Rumors of a Facebook-iOS marriage have been circulating since 2010. Users of Apple's iPad may soon be able to talk to their tablets the same way they do to the iPhone 4S, according to 9to5 Mac. The Apple-focused blog says Siri voice command integration is coming to the iPad with iOS 6. C3 Technologies has mapped the Hoover Dam. Apple is also expected to dump Google Maps in iOS 6 and begin using its own mapping technology. The new Maps app could debut as early as next Wednesday at WWDC, according to The Wall Street Journal. Apple in recent years has been snapping up mapping companies including Placebase, C3 Technologies, and Poly9, reportedly in anticipation of dumping Google Maps. The company in March also used its own mapping features in the new iPhoto for iOS. Google recently announced a number of feature improvements to Google Maps including 3D flyovers, more Street View images, and offline maps.